8 Bdrm Terraced Dwellhouse. Ground flr: Hall. V/bule/Sitting rm. Kitch. Cloakrm with wc. 2 Bdrms (both with shower cubicle & whb). 1st flr: Cloakrm with wc. 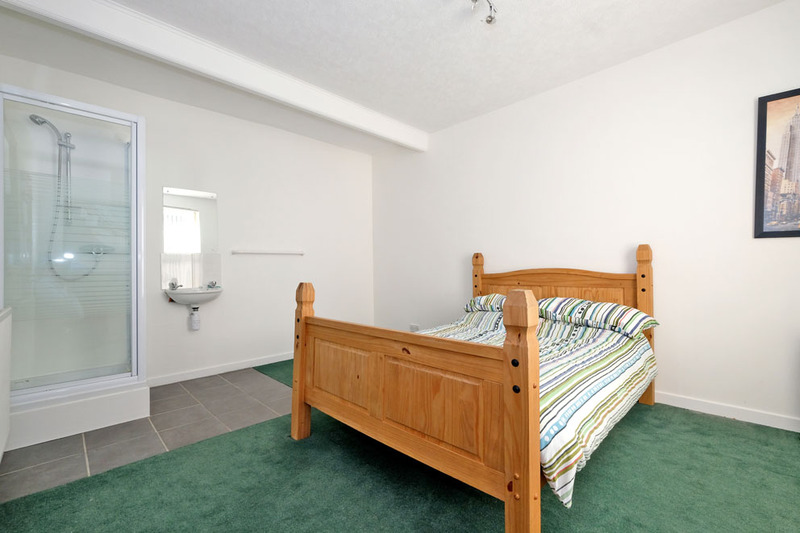 3 Bdrms (all with shower cubicle & whb). 2nd flr: 3 Bdrms. Bathrm. Boxrm (CT band - D). Garage. Parking. Fixed price £370,000 Entry by arr. Viewing contact solicitors. (EPC band - E). 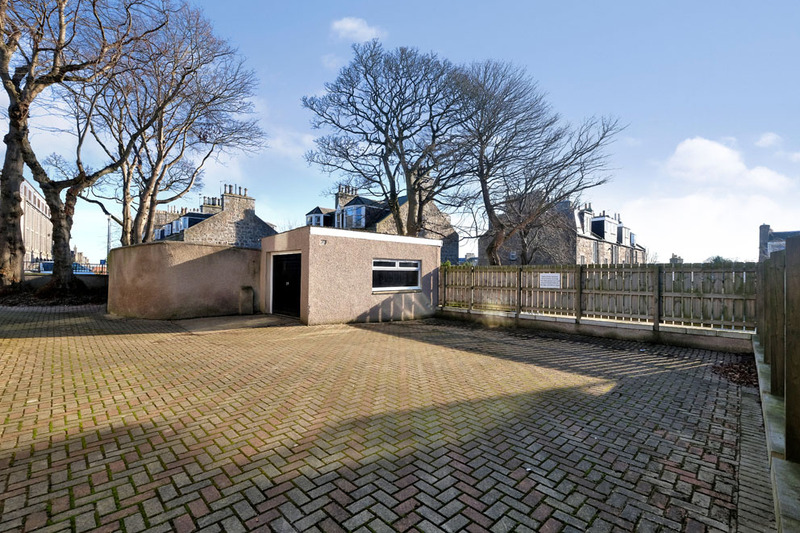 Situated to the end of a quiet street, you drive onto a lock block area providing parking for several cars giving access not only to the property but also to a garage. 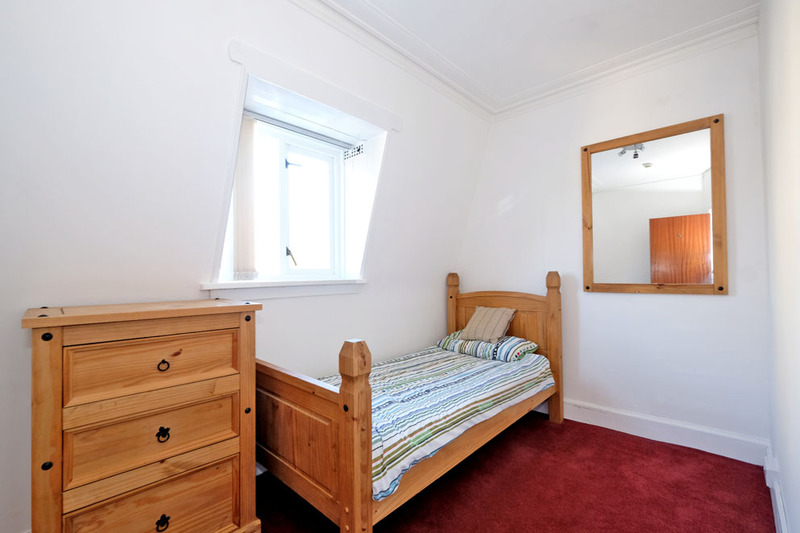 The property has been upgraded to provide eight letting bedrooms, which previously had an HMO Licence. 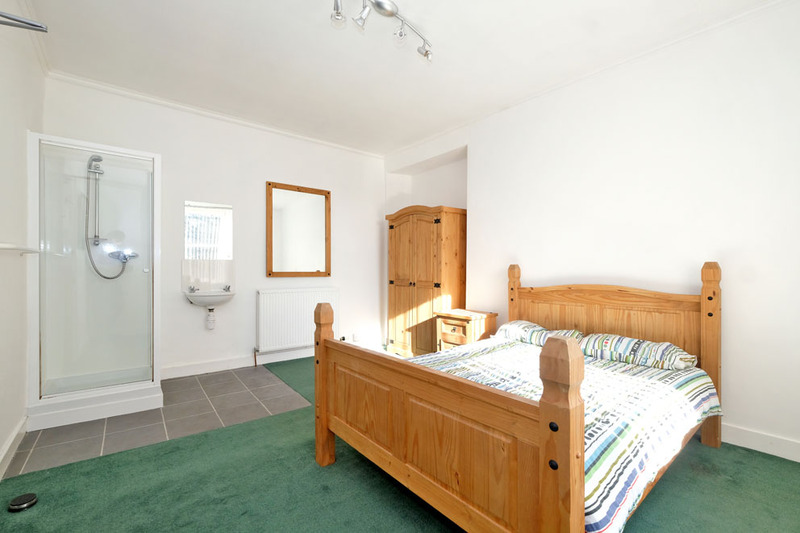 The ground floor comprises bedroom one which is located to the front, has a traditional fire surround with tiled hearth, two shelved storage cupboards, corner located shower cubicle with electric shower and pedestal wash hand basin. 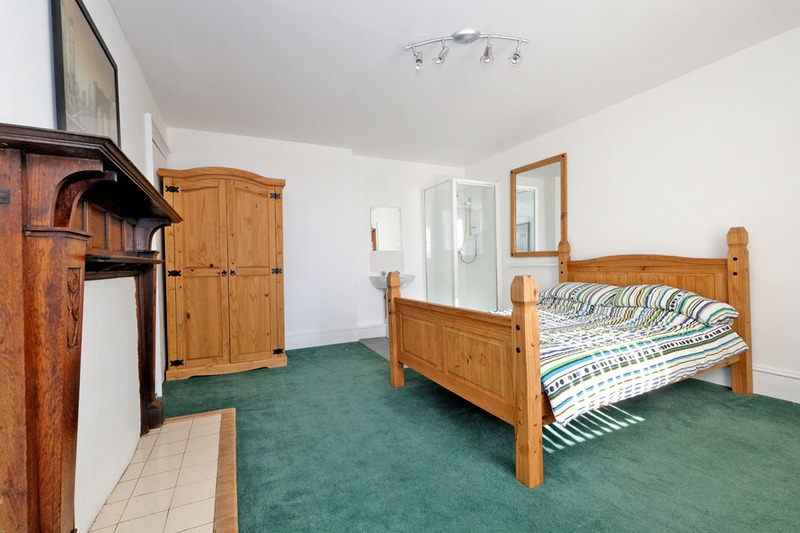 Bedroom two, also to the front, has a corner shower cubicle with mains shower and wall mounted wash hand basin. Continuing through the entry hall there is a door leading to a basement and an exterior glazed door which gives access to a small enclosure. To the left of this is a cloakroom with two piece suite and to the right is the kitchen which is fitted with an excellent range of base and wall units, contrasting work surfaces, stainless steel sink and drainer with mixer tap, tiled splashbacking, under oven, gas hob, overhead extractor hood, integrated fridge/freezer, dishwasher and washing machine. 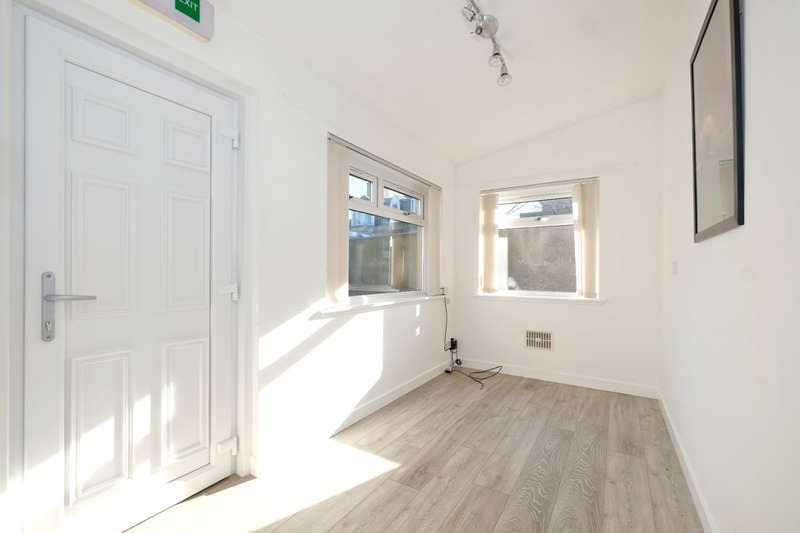 From here you gain access to a vestibule/sitting room which has a windows to front and side and exterior door. 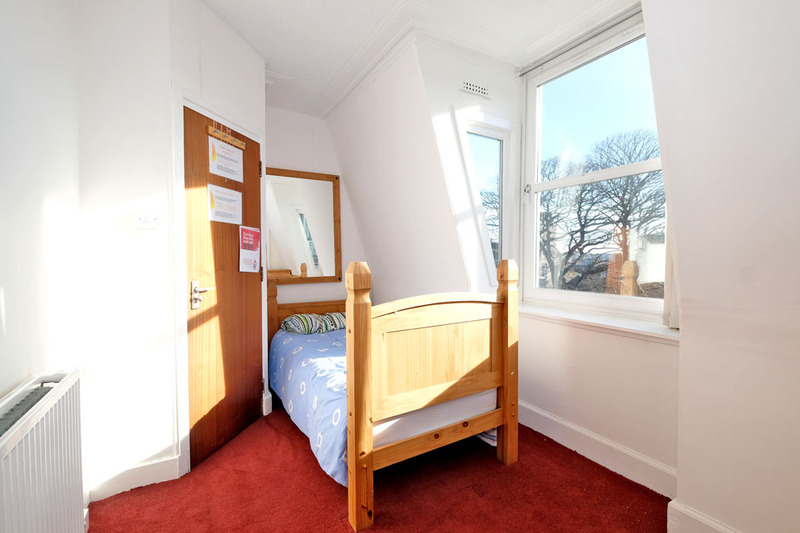 On the first floor to the rear there is a large full length window allowing it to enjoy the best of natural light, a cloakroom with two piece suite and bedroom three again with a corner located shower cubicle having having electric shower, wall mounted wash hand basin, WC and corner located wardrobe. 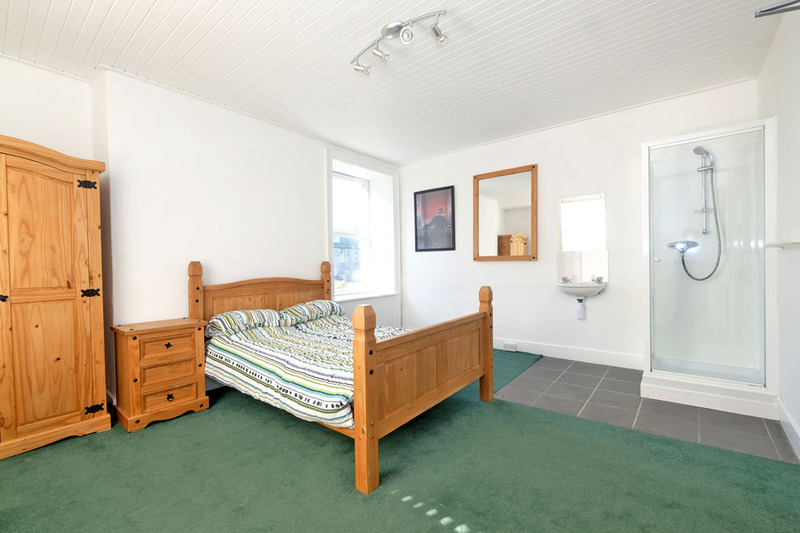 Bedrooms four and five are also on the first floor but situated to the front, both featuring shower cubicle with mains shower and wash hand basin. 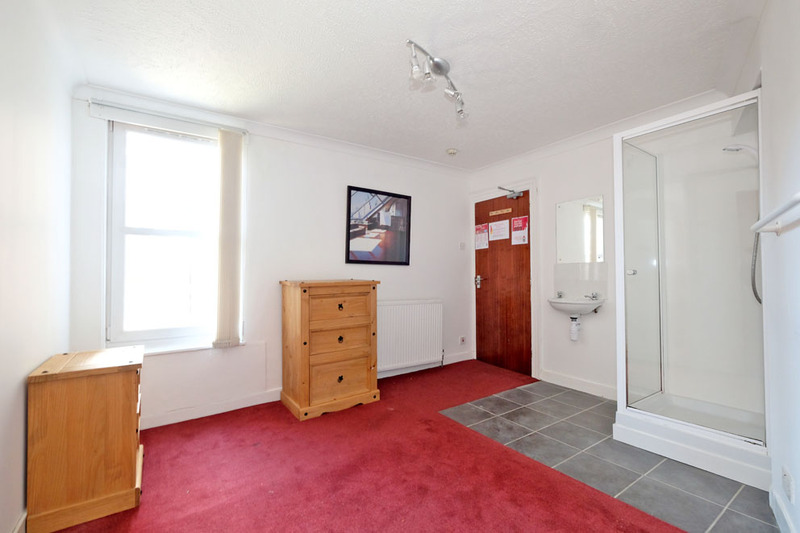 Also on this floor is a large linen cupboard with shelving and accommodating the large pressurised hot water tank. 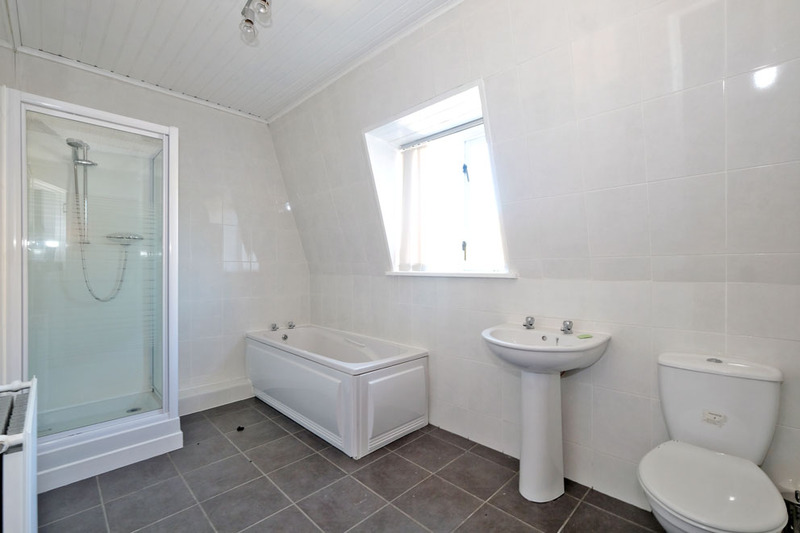 The second floor comprises bedrooms six, seven and eight, all of single proportion and the bathroom which has a white suite featuring corner located shower cubicle having mains shower, bath, pedestal wash hand basin and WC, with tiled flooring. To complete this floor there is also a boxroom which accommodates the gas central heating boiler. 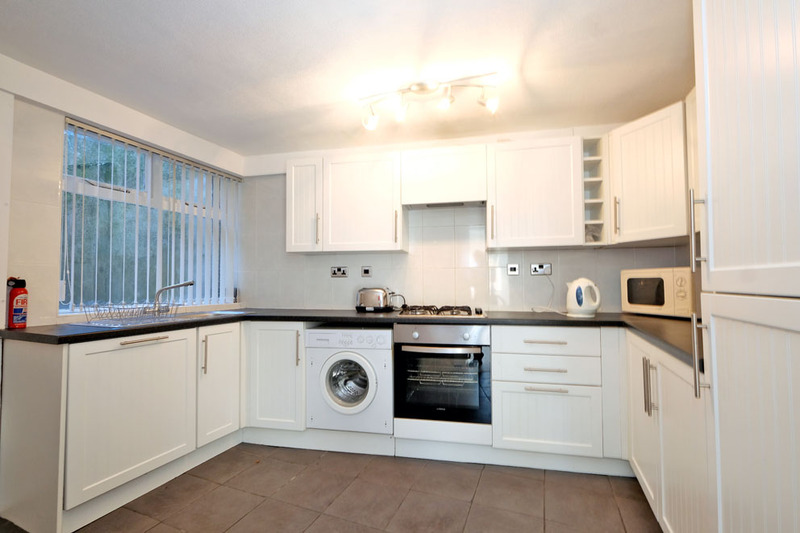 The property is serviced by full gas central heating, double glazing and has alarm systems. It has drive areas to front and side completed in lock block, with the detached garage having up and over door to front and window to side. Bedroom One 15'9" x 12'6" (4.8m x 3.81m) approx. Bedroom Two 15' x 11'4" (4.57m x 3.46m) approx. Cloakroom 6 '9" x 4'1" (2.06m x 1.24m) approx. Kitchen 12' x 8'8" (3.66m x 2.64m) approx. Vestibule/Sitting Room 13'3" x 6'11" (4.04m x 2.11m) approx. Cloakroom 8'1" x 6'6" (2.46m x 1.98m) approx. Bedroom Three 12'1" x 11'2" (3.68m x 3.4m) approx. Bedroom Four 15'2" x 11'6" (4.62m x 3.51m) approx. Bedroom Five 15'3" x 12'8" (4.65m x 3.86m) approx. Bedroom Six 11'3" x 7'6" (3.43m x 2.29m) approx. Bedroom Seven 11'5" x 8' (3.48m x 2.44m) approx. Bedroom Eight 13'5" x 8'3" (4.09m x 2.52m) approx. Bathroom 12'3" x 7'7" (3.73m x 2.31m) approx. Boxroom 5'5" x 4' (1.65m x 1.22m) approx. Directions Travelling along Union Street turn onto Dee Street, proceed to the very end which takes you onto Dee Place, turn right and No. 24 is the property to the far end. 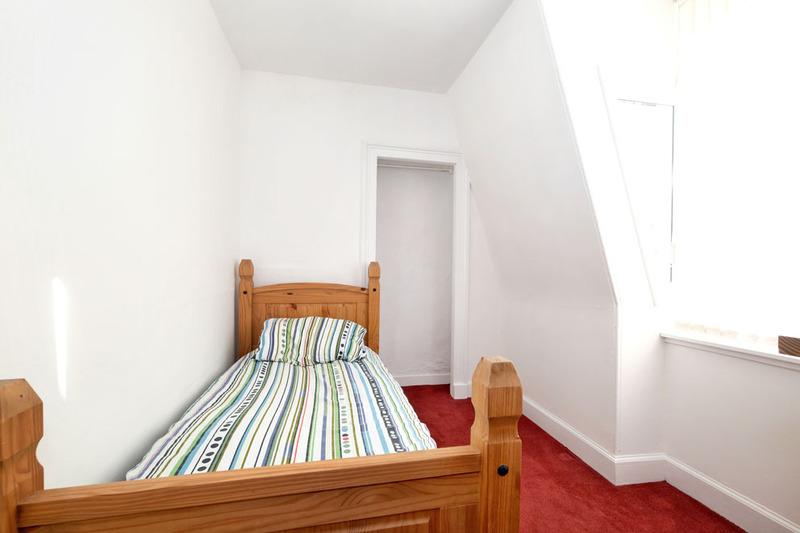 Location Dee Place is situated in the heart of the city centre making this a perfect letting property. 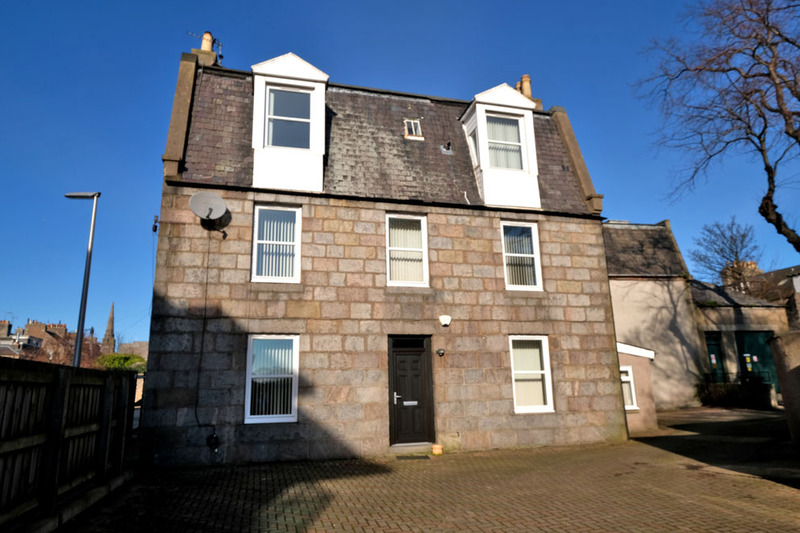 Within walking distance is the city centre with its excellent range of shopping, recreational and leisure facilities, also Union Square with its further extensive recreational and shopping amenities and also the main Aberdeen Railway Station and Bus Depot.